You haven’t done it before because you think it is so complicated or you want to learn more! You would like to surprise your family and friends with your Spanish Culinary Skills. If you love shellfish or other ingredients typical in Spanish dishes but are nervous about preparing it at home. 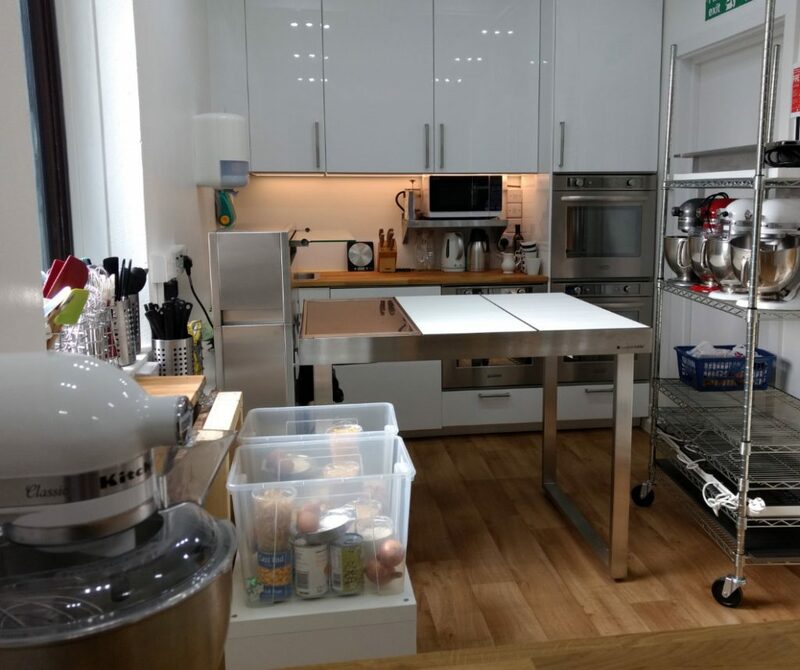 As well as learning about Spanish food, learning the history behing and enjoying with our fantastic lessons, our classes are a great way to improve your general cooking skills. 12 Lessons full of content and tips, wich you can consult again and again when preparing your delicious Spanish Dishes. Maria José Master Classes are valued at £110 each, you will have 12 classes for have price each! Maria José will give you, step by step all the guidance you need. If you haven’t cooked this sort of thing before, so much the better. One Master Class with Maria Jose Sevilla will cost you £110. Imagine to have more than 10 Master Classes in once wich you can check again and again with no limit of time and just for half price! 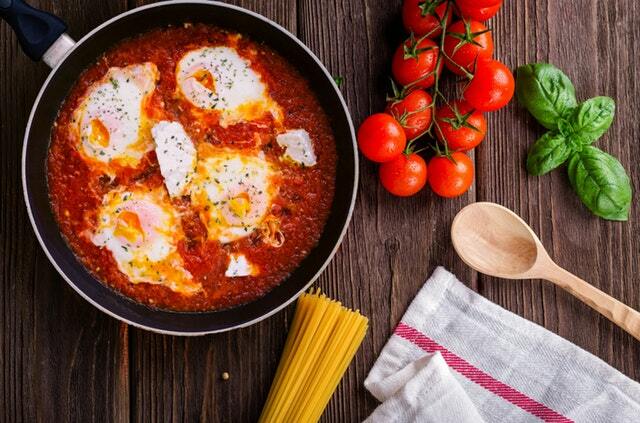 This Spanish Cookery Course gives you a culinary tour through some of Spain’s most exciting regional specialties by preparing a selection of famous dishes that reflects this country’s rich culture and colourful history. During the different lessons, Maria Jose will teach you the how’s and why’s behind a range of traditional Spanish dishes, using classic ingredients like smoked paprika, chorizo, sherry, ham… It’s your opportunity to learn to cook spanish food once and for all! Tarta de Santiago. Almonds at their finest. Tarta de Queso. Cantabria knows how do to cheesecake. Let’s learn how to do it! and the famous Torrijas. Delicious torrijas three ways! Achieving an authentic Paella at home might seem difficult but it can be done without a paella pan and with just a few ingredients. Follow María José method and surprise your family and friends! María José will show you tu prepare from the clear soups to soups based on bread or potatoes. The amazing cold soups completly out of this world. Chocolate and Churros is considered as the Spain‘s all-day-long dessert! You will learn the method for this scrumptious dessert! Learn how to prepare a refreshing jug of Sangria or the famous Kalimotxo or the outstanding Rebujito. During the hot summer months, Spaniards look forward to their cuisine’s rich array of salads. Spanish pasta salad for example has a distinctly Mediterranean flavor, is fresh-tasting, and easy to make. Spaniards are great lovers of de cuchara (spoon dishes) and vegetable dishes of which we have a great selection. Some of these easily become a main course when protein is added. How to make the real famous Crema Catalana, the Creamy and eggy crema catalana. The Spanish Flan and the delicious Miguelitos. 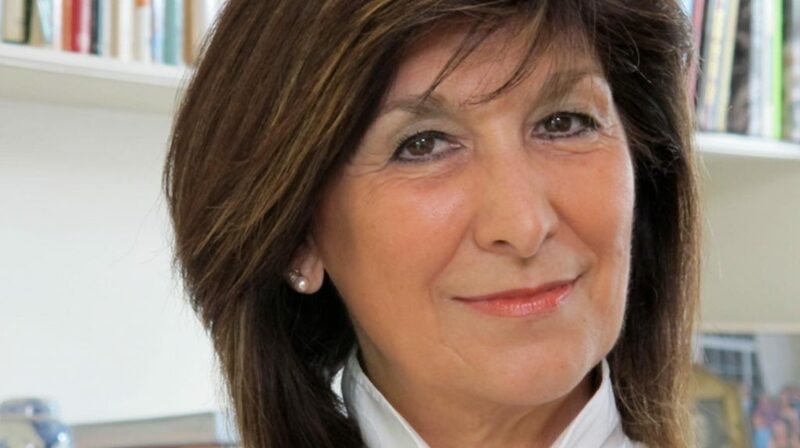 Maria José Sevilla has presented the popular BBC TV series on Spanish cooking, Spain on a Plate, in the ‘90s, which won a Glenfiddich award in 1992 and she has written numerous books on food and wine. 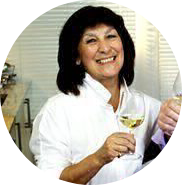 María José Sevilla has played a pivotal role in the promotion of Spanish food and wine in Britain being at the center of the rediscovery of Spanish cuisine by chefs and food writers throughout the world. She holds the prestigious Wine Diploma and contributes articles on food and wine to many international publications. Her books are very appreciated for the ones who want to practice Spanish Cookery with excellent recipes in a beautifull written books. Let me share with you my methods and tips that I have learned about Spanish Food all over this years. √ Bonus #1: Spanish Wine pairing Extra Lesson.